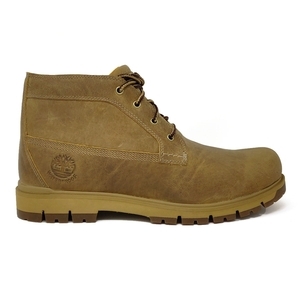 Timberland Radford Plain Toe WP Chukka. Featuring exclusive SensorFlex™ technology that moves with your feet. Tame uneven terrain with our SensorFlex™ technology, providing constant support, active cushioning and dynamic flex for your feet. We use the finest premium nubuck leather and thoroughly seal every seam for guaranteed waterproof performance. These may look like classic chukka boots, but they’re amazingly lightweight for even more comfort.